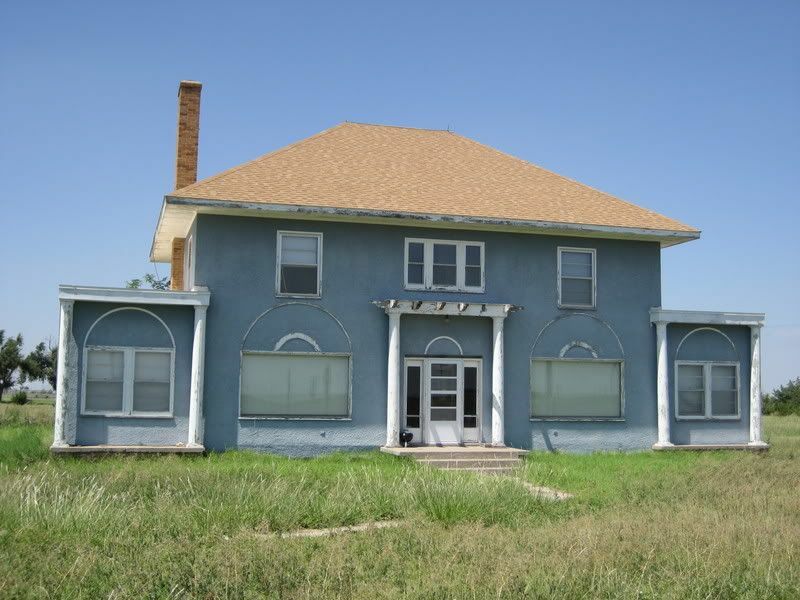 In 2007, I traveled to Quinter, Kansas to visit Gale Ringer and learn more about his family’s “Ohio.” His grandfather, Mathias Ringer had purchased the Wardway kit home before World War I, and amazingly, this house had stayed in the family through the generations. During my three-day stay with the Ringer family, we went driving around other parts of Kansas and that’s when we found the Aladdin Villa, sitting in the middle of a very large field. As soon as possible, I sent a photo of the house to Dale Wolicki (who is THE expert on Aladdin Homes) and he could hardly believe that we’d stumbled upon one of Aladdin’s fanciest homes in such a quiet, rural area. 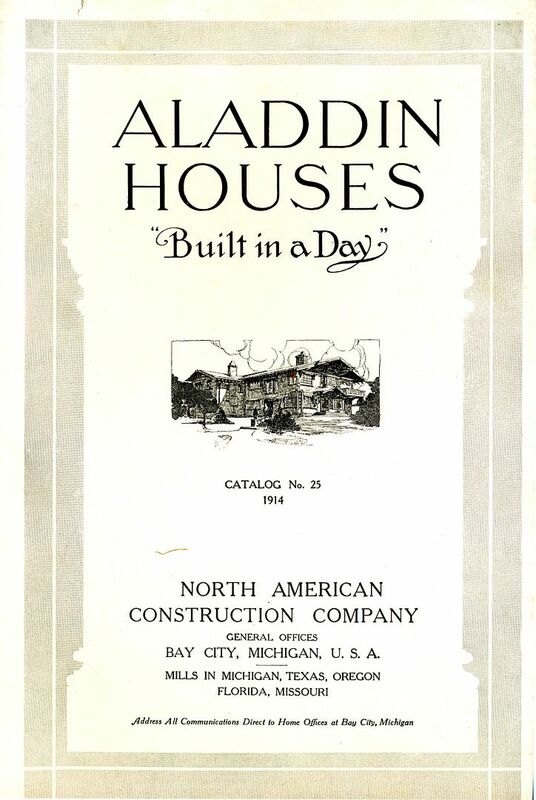 Aladdin was a kit home company that (like Sears), sold entire houses through their mail order catalog. 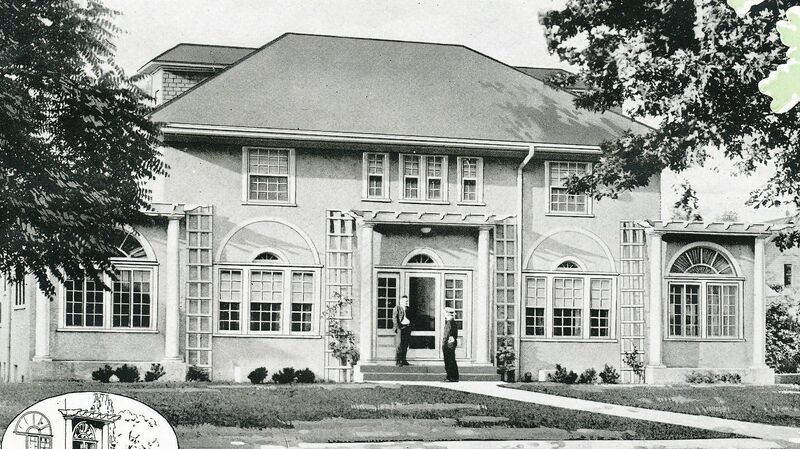 Aladdin started selling kit homes in 1906 and outlasted all the competition, finally closing their doors in 1981. Not surprisingly, North Carolina has many Aladdin Kit Homes. Aladdin had a massive mill in Wilmington, North Carolina. 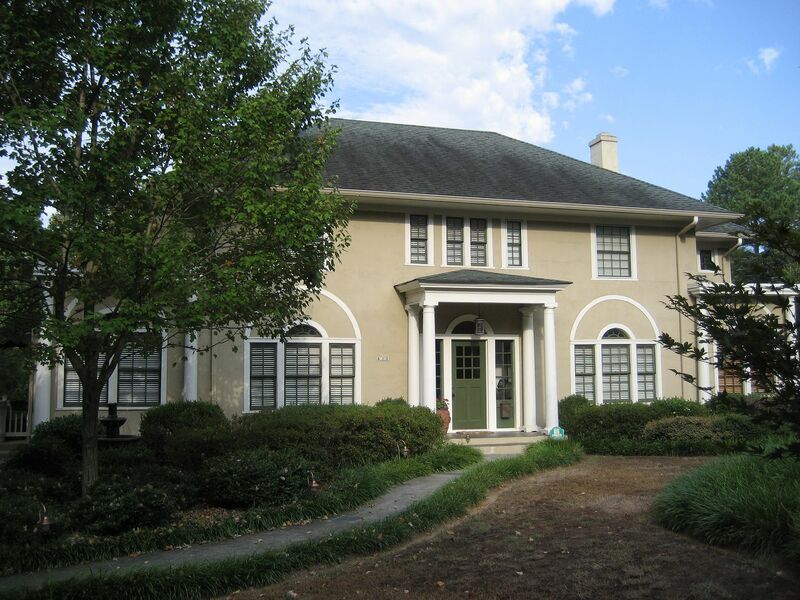 Do you have a Villa in your city? If so, please leave a comment below! Aladdin was a bigger company than Sears - in its day - but not as well known. They sold about 75,000 kit homes during their 75 years in business. This page appeared in the 1914 catalog, before they opened their mill in Wilmington, NC. 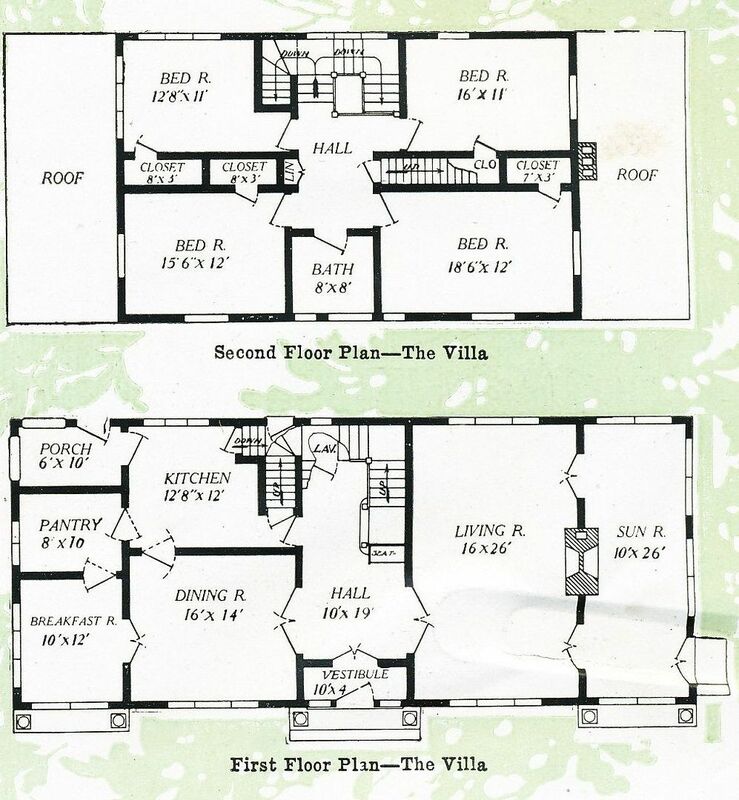 The Villa was their biggest fanciest house. Look at the size of these rooms! 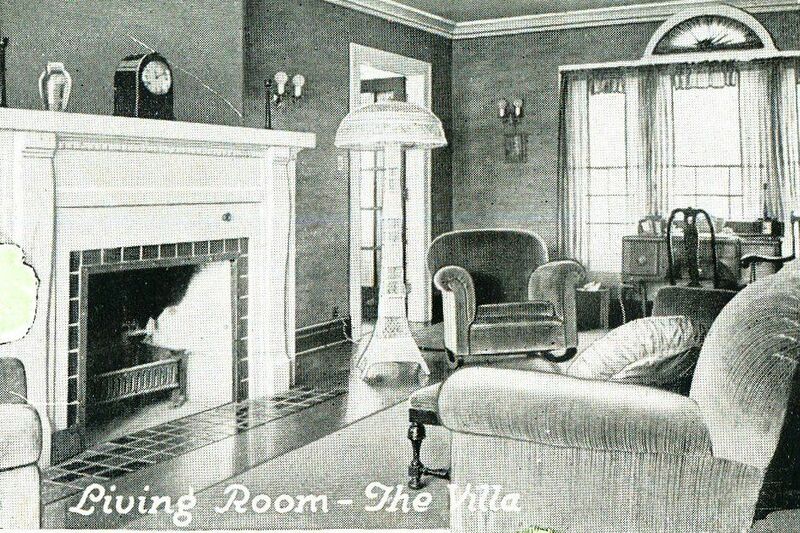 The 1919 catalog featured "interior" views of the Aladdin Living Room. 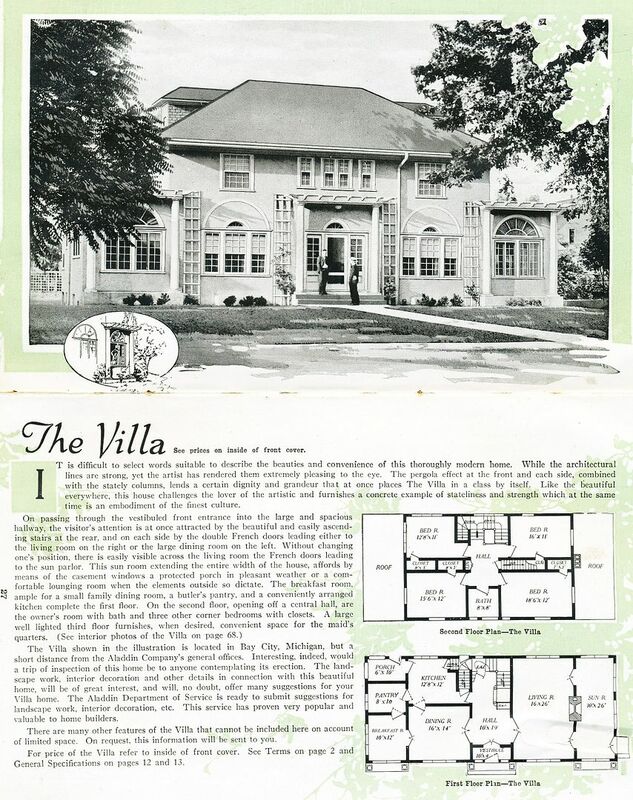 The Villa, as shown in the 1919 catalog. This Villa is one of the prettiest I've ever seen. It's in Atlanta. 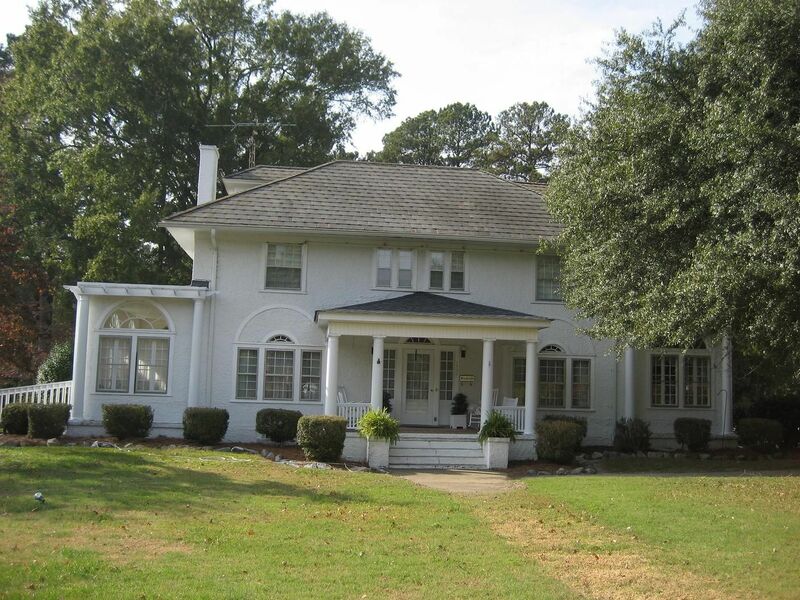 This Villa is in Scotland Neck, NC. 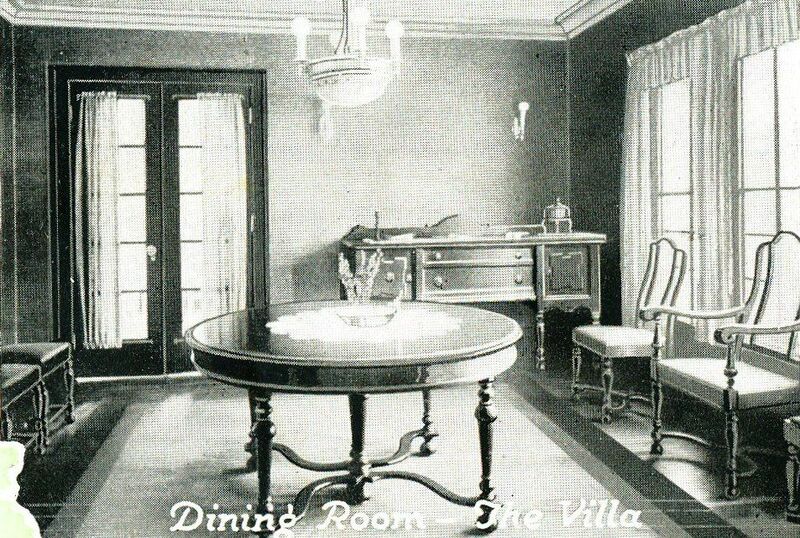 And this is the Villa in Kansas, sitting in the middle of a massive Kansas cornfield. Look at the price! 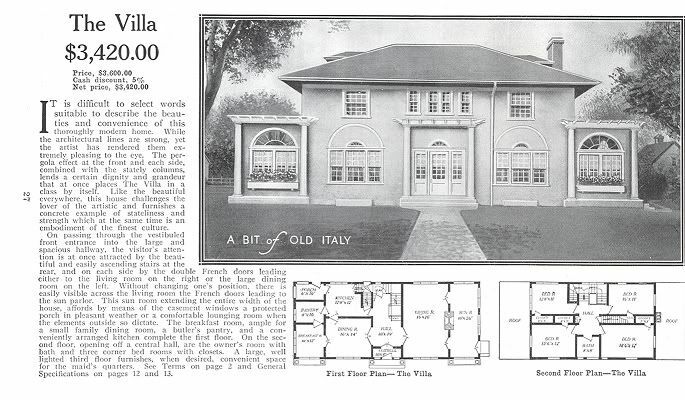 That was an expensive house in the 1910s!